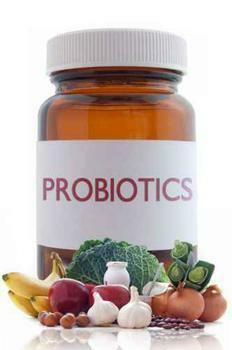 Foods and supplements that are rich in probiotics are becoming increasingly popular, so much so that some companies have even started making probiotic supplements for children. But are all these products created equal? Independent supplement tester Labdoor wanted to find out, so it tested 11 of the most popular children’s probiotic supplements to check for safety and effective bacteria. While several brands received high overall scores, the researchers say that many others had questionable effectiveness and were vague or uninformative about their bacterial make-up. “Even though we’re used to seeing total bacterial counts on labels, researchers now advocate for displaying specific strain quantities as this determines what conditions a product is good for,” the researchers wrote in a release. The leading brand according to the analysis was Pedia-Lax Probiotic Yums, which received a score of 96.6 out of a possible 100 points. It received full marks for product purity, nutritional value, and projected efficacy, and good scores in label accuracy and ingredient safety. Garden Of Life Organic Kids+ came in at a close second with a score of 92.6. While it scored well in product purity, nutritional value, ingredient safety, and projected efficacy, a low score of 48 on label accuracy dragged down its overall score. Researchers said that the product measured 38% less viable bacteria than the label claimed. Rounding out the top three was Hyperbiotics PRO-Kids with a score of 84.8. It received full marks for product purity and nutritional value and a good score for ingredient safety, but its projected efficacy and label accuracy scores only received scores in the 70s. Researchers said that the product measured 17% more viable bacteria than the label claimed. The full list of products and their ratings can be found here. The researchers said that labelling inaccuracies were a major issue for many of the products that placed lower on the list, with an average deviation of 160% for claims on total bacteria. These differences hit extremes in both directions, with one product having 7 times the bacteria it claimed and another having practically no living bacteria at all.